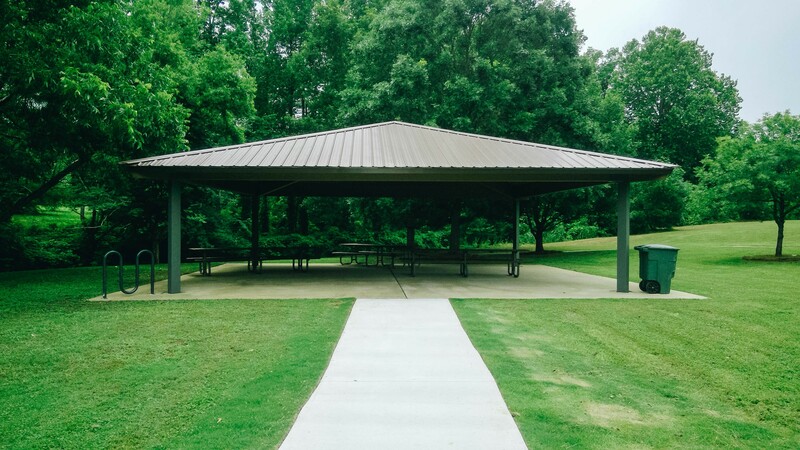 The renovations at Sam Harris Park, 850 Foster Street in Auburn, were completed on June 1, 2017. 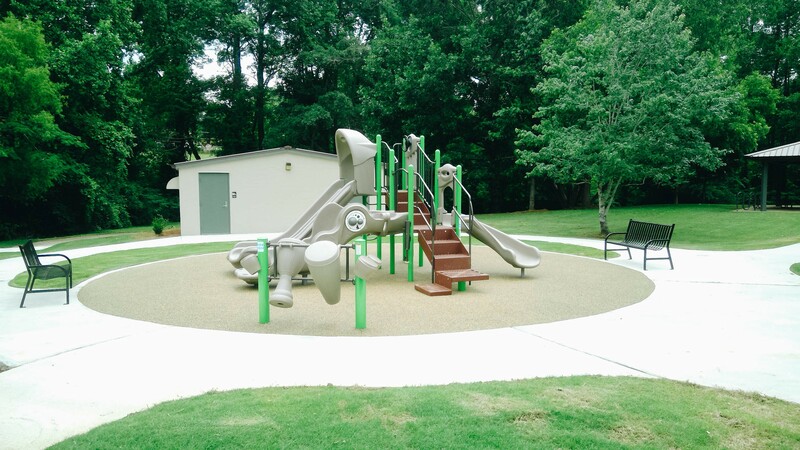 Sam Harris Park now features the City of Auburn Parks and Recreation first “poured in place” accessible playground available for children and adults with disabilities. The parking lot has new improved ADA parking spots that join to the accessible route to the playground, accessible picnic table, water fountain and bathrooms. 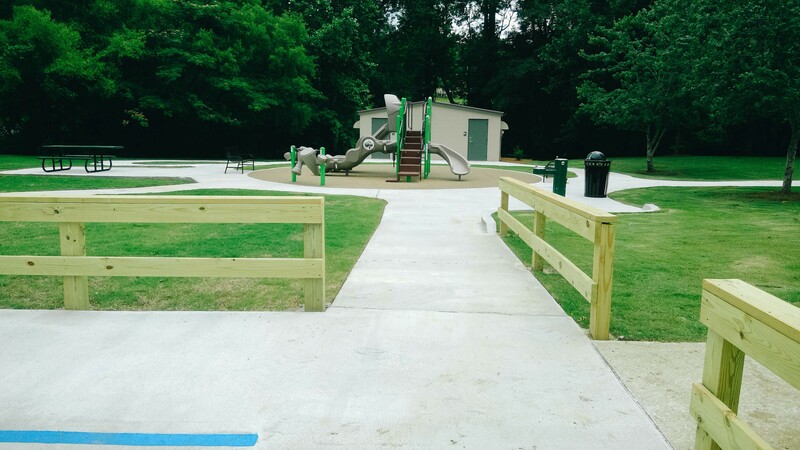 In addition to the new playground, the accessible bathrooms, sidewalk and pavilion were part of the renovation. 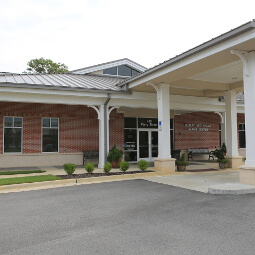 New benches and trashcans were installed; a new fence, bike rack and a paved parking lot complete the renovations. 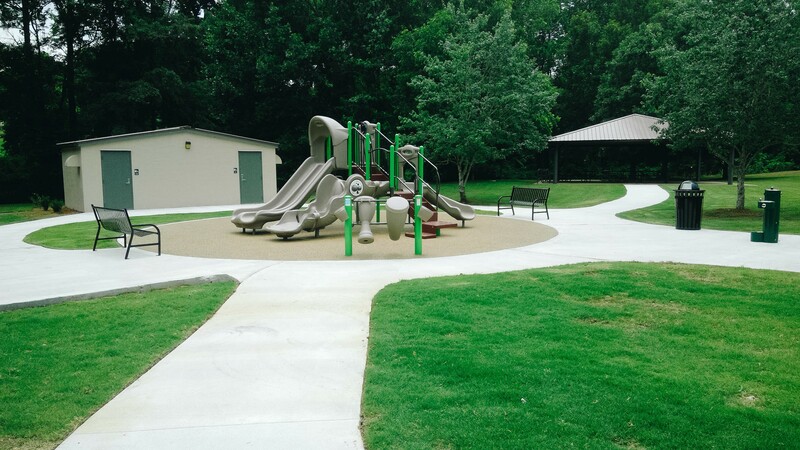 Sam Harris Park is now open and available for public use. Sam Harris Park is open from sunup to sundown.For more information about this park, or to reserve it for a special function, please contact the Parks and Recreation department's administrative office.